Granite countertops are beautiful centerpieces in the home. The durability of granite means you should expect to be able to enjoy its beauty for years to come. Granite will, however, lose some of its luster and shine over time from daily use. Even if a sealant was applied when the countertop was installed, that sealant can wear thin and allow liquids to seep into the granite surface. Residue, germs, dirt and water spots can dramatically impact your granite surfaces and diminish their beauty. Regular maintenance, cleaning, and sealing of granite countertops is critical to helping you protect your investment and enjoy long-lasting use. Chem-Dry of Acadiana only employs the most trained and knowledgeable technicians to take on these jobs. 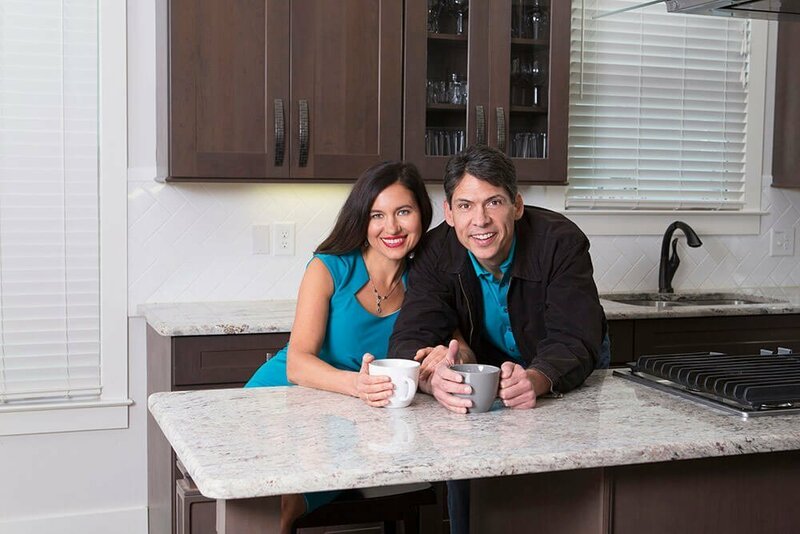 From our first assessment to finishing the job, we will walk you step by step through our granite countertop renewal process and what to expect. We will inspect your countertops, give your cleaning tips for future care and point out any areas of concern. We are passionate about offering cleaning services that can improve the beauty and health of your home. Schedule Your Granite Renewal Treatment in Lafayette, LA Today! Chem-Dry of Acadiana’s granite countertop renewal process penetrates deep inside granite’s porous surface, removing the bacteria that can spread germs and eliminating dirt and grime. We then seal the surface to keep those unwanted elements away, which helps restore the shine and extend the life of your granite countertops. Our granite renewal technicians use green certified cleaning solutions that are non-toxic as well as powerful deep-cleaning equipment to safely remove the dirt and build-up. There are many do-it-yourself products available but these can often do more harm than good. Because most at-home cleaners contain abrasive ingredients that can damage the granite and make the finish appear dull, Chem-Dry has created a specialized granite renewal treatment to help your granite surfaces look like new. Our granite countertop renewal treatment will help you to fall in love with your granite countertops all over again. We’ve tested the effectiveness of our Granite Renewal Process in multiple homes and have compiled important data to help us create the most effective formula. Through experimentation, we found that our Granite Countertop Renewal process, in conjunction with a sanitizer, removes an average of 98.4% of bacteria from granite countertops.